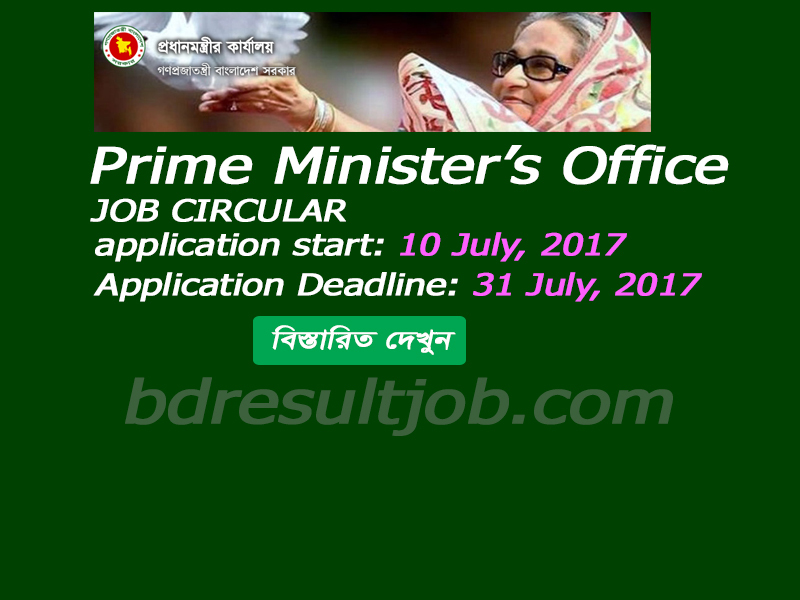 Bangladesh Prime minister's Office Job Circular 2017 has been published in http://www.pmo.gov.bd/. Bangladesh Prime minister Office total 11 posts are 29 vacancies. Bangladesh Prime minister Office is the most of high authority in government sector of Bangladesh. Every interested Bangladeshi person can apply for this job within specific time. Bangladesh Prime minister Office Job Circular has been given bellow. 2. Only Bangladesh Prime minister's Office determinate ‍application form can apply otherwise application will not accept. 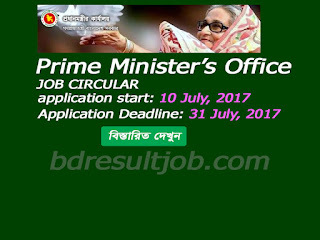 Every Interest legal candidate to http://www.pmo.gov.bd/ or http://www.bdresultjob.com/2017/07/bangladesh-prime-ministers-office-job.html at download and print their application form. Only Bangladesh Prime minister Office determinate ‍application form can apply otherwise application will not accept. 1. Passport size photo 2 (two) copy photo. 5. For the post (1-7) 100/- Tragary challan 1-0301-0002-2031 no code Bangladesh bank/Sonali Bank and For the post of (8-11) 50/- Tragary challan 1-0301-0002-2031 no code Bangladesh bank/Sonali Bank. pay to পরিচালক (প্রশাসন), প্রধানমন্ত্রীর কার্যালয়, পুরাতন সংসদ ভবন, তেজগাঁও, ঢাকা-1215.